Here is the quick list of the top five dating sites in the Philippines. I’ll go into more detail in my reviews later in this article. Online dating in the Philippines is very popular. Unlike in Thailand where there are just a handful of reputable dating sites from which to choose, the Philippines has more high quality options than you can count. 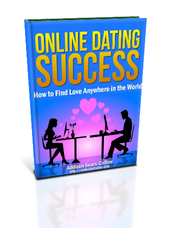 A good online dating site has a large membership base and an interface that doesn’t require a rocket scientist to figure out. Perhaps due to a history of having a large U.S. naval presence in the country, the people of the Philippines are actually quite open to dating foreigners. If you are an English native speaker, people will be quite friendly towards you and definitely curious to find out more about your background. Fortunately, such a conversation should not be all that difficult as a large percentage of the population speaks fluent English as a second language. Many Filipinos even have family living abroad. Having traveled to the Philippines before (Manila to be exact), I can tell you firsthand that Filipino women are some of the most beautiful in Asia. Whether your travels take you to Manila, Cebu City, Quezon City, or Angeles City, you will find jaw-dropping attractiveness everywhere. Rest assured, when you sign up for one of these dating sites that I mention below, you will get to see exactly what I am talking about. Without further ado, here is the quick list of the top 5 dating sites in the Philippines. FilipinoCupid.com is the best online dating site in the Philippines. If I only had money to spend on one site, this is the site that I would spend it on. If you do a search of women between the ages of 18 and 35 who have been active on the site within the last month, you will find over 1000 profiles. FilipinoCupid’s 3 million members make it one of the most popular members of the Cupid Media Network. FilipinoCupid has the same clean website design, easy sign-up process and strong communication features as other Cupid Media sites such as BrazilCupid.com and AussieCupid.com. As its name suggests, FilipinoCupid is a dating site for Filipinos and those specifically looking to date Filipinos. If that’s what you’re looking for, this site has good enough features for me to recommend it. Be wary of spammy profiles messaging you soon after signing up however. Signing up is swift and painless, requiring either your Facebook account or your name, gender, password, and email to start. Signing up with your Facebook account definitely limits the risk of your profile not getting approved, but if you are concerned with your privacy, use your email address. After this, simply share a few words about yourself and what your ideal partner looks like, and you’re good to go. FilipinoCupid’s match-browsing feature has 4 browsing options for you to choose from: Photo View, Basic View, Detail View and Profile) and 4 order options (Newest Members, Photos First, Last Active, and Relevance.) If you’d like to craft a separate search, you can select between many different criteria, including age, location, education, body type, ethnicity, lifestyle choices (smoking, drinking, etc. ), marital status, religion, and even their star sign. Messaging between Standard, free members on FilipinoCupid is limited to the offline equivalent of flirting from across the room. You can wink by “Sending Interest” or blow a kiss by adding them to your “Favorites”. Some of these members will come to you, by upgrading, or if you’re lucky, by already being a premium member. At the point you want to take control of the situation and actually talk to people however, really your only viable option is to purchase a Gold or Platinum subscription. The most useful feature for me on FilipinoCupid was the audio/video chat. Both of these features proved extremely useful for making sure matches are truly compatible before meeting in person. That these features are natively supported by FilipinoCupid is an extra bonus, as no one has to give out their phone number or Skype information. You can also use these features to send audio/video messages to other members. The only downside here is that these features are only available to premium members. AsianDating.com doesn’t come up often when people talk about online dating sites in the Philippines, but I really like it. It is also run by Cupid Media and has a lot of members in the Philippines. It also has a good following in Thailand, Malaysia, and Indonesia. AsianDating.com offers some really good features, reserved for premium members only. I will say that soon after signing up I received a deluge of spam-like messages. I did find, however, that there are quite a lot of real people sincerely wanting to connect through the site. The site had message filters and used those to filter out the spammers and scammers. If you are Asian and single or just want to meet other Asian singles, I highly recommend AsianDating.com. 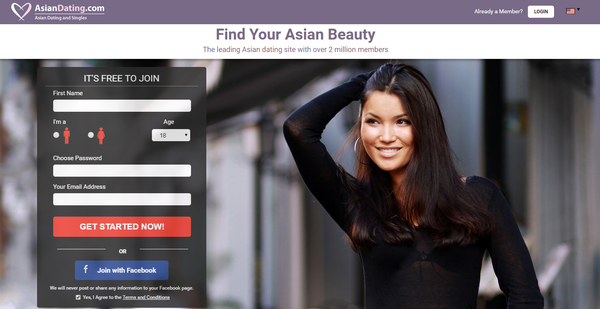 It will only take you about two minutes to sign up for AsianDating, and it costs you nothing. You can either sign up using your Facebook account, or just enter the basic information: your full name, gender, email address, and your password. Next, you write a little about yourself, say what you’re looking for in a match and you’re in. Technically you haven’t really completed your profile, but by doing this much you’re allowed to browse around. If you want to keep your profile up the way it is, you will receive messages from the site asking you to enter additional information in order to continue. There are two roads you can go down when looking for a match: browsing around or actually searching. When you’re just browsing through possible matches, you can make it quick by viewing photos only, or you can view entire profiles one at a time. If you choose to search, you can set up specific criteria that you’re looking for, such as age range, location, level of education, ethnicity, body type, their lifestyle (smoking and/or drinking, etc. ), religion, marital status and even their astrological sign if you wish. These customized searches can also be saved for future use. If you’re really serious about connecting with others on this site and hopefully meeting people in person, I would recommend that you upgrade your membership to Gold or Platinum. In the meantime, you will only have a few ways to communicate with other members: visiting the profiles of others, “showing interest,” adding profiles to your Favorites, and sending messages, which can only be seen and read if one of you has upgraded to a premium membership. Once you’ve upgraded to premium, you are allowed to message anyone you please, and they will be allowed to read your message and send a reply. With a premium membership, you also enjoy other ways of communicating, such as IM chat, audio, and video communication. A very unique feature offered on AsianDating is the translation of your messages. Using this innovative feature, you are able to have your message translated into whatever language you need. All it takes is the click of your mouse. Language translation obliterates the barrier which would otherwise prevent you from getting to know this person. There are likely to be some mistakes in grammar, which is to be expected with any type of language translating software, even Google’s. However, by using this tool, you can at least introduce yourself to a lot more members. You should know that this feature is only available to Platinum level members. Cherryblossoms.com (also known as Blossoms.com) is a popular pay site in the Philippines and is ideal for the guy who is really looking to get serious (i.e. find a wife). I know many people who have used this site with quite a bit of success. Blossoms.com is a veteran dating site, running successfully since the ancient internet times of 1995. This company has over 40 years of experience in the game, having started originally in 1974, as the personals magazine Cherry Blossoms. These days, Blossoms has over 50,000 active users a week. Even with a fairly recent visual re-haul, Blossoms still has a throwback look to its website. Blossoms has been around a long time for a reason, with strong features, an easily navigable website, strong security measures, and thousands of quality profiles (most of them women!). If you’re looking to meet singles from the Philippines, give this site a try. Signup starts easily enough, with your name, email, gender, and password. The next two pages you’ll enter your basic information, birthday, age, location, etc. and finally, a short blurb about yourself. You can also edit various profile logistics, such as options for chat, privacy, and mail notifications, and filter settings for chat and messages. Blossoms provides a number of preset searches for you, allowing you to search though active members that have been online in the last month, members that have signed up in the last 48 hours, members online right now, and who has looked at your profile. You can also make searches of your own, basic and advanced. Blossoms will also present matches for you, based on criteria you choose, such as lifestyle habits, age, height, location, etc. There are many options for messaging. Basic features include custom text messages (“emails”), saved template emails and “smiles”. You can also add someone to your favorites, or your friends list. More advanced features include asking 10 questions (chosen from a larger list, e.g. Do you like to cook, How do you deal with conflict, etc. ), Instant Messaging chat, video messages and live video chat. I personally love sending video messages; they are a great way to revive a fading interaction or take a lively conversation to the next level. Blossoms has one unique feature that I would love to see other sites adopt as well: the power to check whether or not a profile is genuine. Each profile includes links to Tineye, to check where their photo came from, and Google, to see if their profile information is repeated anywhere else on the web. Tineye is a perfect feature for catching fake profiles using a celebrity or model photo as their profile photo, which seems to happen quite often online. If something seems fishy, there are buttons to report or block members right below the profile photo. 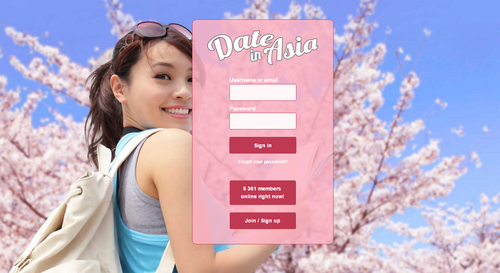 DateinAsia.com is a last resort option for the Philippines. The site has around 1 million registered users, the majority of whom are foreign men and Asian women from Indonesia and the Philippines. The site is free to sign up and use, but like any other free site, it has its fair share of issues. DateinAsia is full of fake user profiles, spam accounts, members who aren’t seriously looking to date, and many user profiles are inactive. If you are seeking singles looking to mingle, there are certainly some to be found on here, but lots of effort will be required to sift through the fake and inactive accounts. The enrollment process is fairly standard. Begin by entering your personal information, creating a username and password, and indicating your birthday, location, your gender, and the gender you are seeking to meet. After confirming your email address and registering your phone with an SMS verification, all is done for the website’s security purposes. This step must be completed within 7 days of sign up, or your profile will be deleted. Finally, you’ll need to create your dating profile. Come up with a catchy title for yourself and include a short but informative blurb that describes you and what you are searching for in the About Me section. You’ll also be asked to supply a few bits of basic information, including things about your appearance, job, and such, before completing the ideal profile with a stunning picture of yourself. There are a few ways to go about locating potential matches. Next to the search tab on the site, you’ll see a bar that contains random user profiles that you can browse through on your own. You can also use the search tab to search for users or the advanced option. The basic search will filter through users on the website and sort them according to age, location, and gender as they apply to you. This will likely produce a large number of results for you to filter through, but if you are looking for a lot of options, this is likely the best way to search the members. If you are looking to be a bit more detailed in your search, the advanced option will include searches for basic information supplied when signing up, including religion, appearance, jobs, etc. This option will likely be the one to produce the best options for what you are searching for. While searching for members, you will also have the option to check who has visited your profile and shown interest in you, allowing you to meet other singles in this way as well. There isn’t anything that really stands out about this site. It is like most other dating sites and doesn’t offer anything special. There are numerous other dating sites available on the web that are similar to this one. I like to leave no stone unturned in the dating search, so I recommend you sign up for Tagged and give it a try after you’ve exhausted the other options above. If Facebook is for keeping in touch online with the people you already know, Tagged is where you go to meet new people. Tagged was started in 2004, and has since grown to the online behemoth it is today: 300 million members strong, and growing, in 200 countries. Considering its massive popularity, I found the site surprisingly plain-looking. The webpages, profile designs, and tags all had a distinctly low-quality look and feel. With that said, Tagged’s unique, useful features make it an example of a social media site that works just as well for dating. Start by entering your basic information, then, if you want, upload a photo and invite your email contacts to join. Enter a code from a confirmation email, and you are free to explore the site. There is a lot of room for profile customization, including prompts for your dreams, favorite things, and interests. You can also add fields of your own (with their own themes), change your profile-skin, create and join groups, post photos, videos, comments and widgets to your profile, and buy “Pets”, i.e. other profiles. Besides basic profile browsing, there is Tagged’s most famous features: “Meet Me.” This is where members browse photos, choose the profiles they like, and each member is notified when there’s a mutual match. This feature has been copied by many other sites, most notably perhaps by the mobile App Tinder. To start, you can send someone a wink (once per person every 24 hours), or a message, which is text only, but can be spruced up a bit with emojis, stickers, and the like. Clicking to send a message opens a separate window, which felt strange. Other communication options include: inviting a member to a group, posting a comment on someone’s profile, giving a gift, and giving a Tag (basically a GIF – large number of options, all visually pretty low-quality). Tagged’s emphasis on meeting new people enables it to shine as a great option for those looking for dates. Their most unique feature for helping their users do this is the game, Pets. Pets is similar to fantasy sports, in that users use virtual cash to “buy” other profiles and “own” them like pets. These “pets” are then bartered with other users, or sold for a set price. Players compete to make the most money, or own the most pets. I’ve never been a big fan of social media games, or fantasy sports, so Pets didn’t really do it for me. But it is amazingly popular on the site, and I imagine it can be a great way to meet new singles. 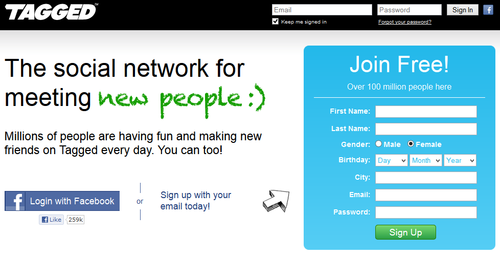 Free – Sign up, create a profile, browse and contact other members. Basically everything except the perks below. Premium – See who likes you in Meet Me, see who has viewed your profile, contact the most popular users, contact new users before others do, “message read” notifications, chat and email support.